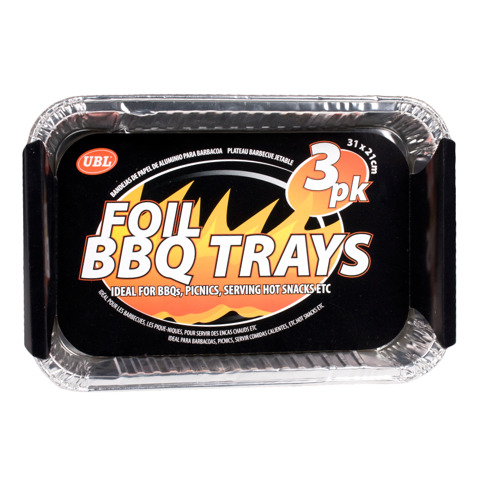 Foil Bbq Serving Tray 21X31Cm 3Pk. 31 x 21cm. Silver Foil. Aluminium Foil. 26G Packaging: Wrap Label.